Newbes are always wanting to know where to stop for the night... heres one. It's on Ceretus Ave behind Disneyland. We stayed all night... went to Disney... liked the spot so well that on the next night, we went back... then the second day we went to Knotsberry Farm. Maybe others will share their priceless spots. How about across the street from the Kansas City convention center in downtown Kansas City? No, I wouldn't do it now, but when I was younger and dumber and poorer, we camped out in the parking lot in a truck with only a camper shell and curtains in the Winter. BTW, there was a Dennys a block or so, and we did pay the parking lot charge. I think it was something like $10 a night. 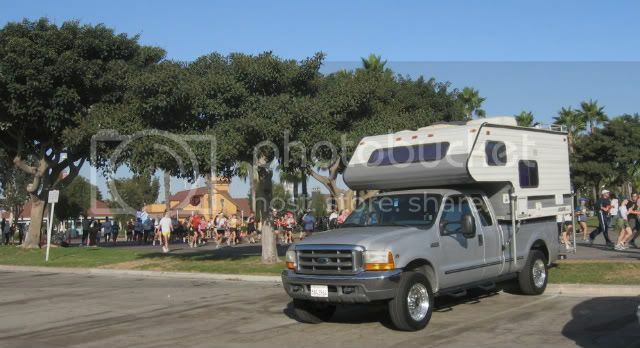 That's funny... the very first RV trip I took my girlfriend on, who is now the wife, was to Disney. We stealthed it for 2 days around the park and on the second day we were there watching them film "That Thing You Do" from Tom Hanks. We were both right there when they were filming the Matterhorn scene..... And saw him there directing it.... even have a video of it for proof. Lucky I had the camcorder with me! Many more stories from that first vacation together. What a trip! Thanks for that link pianotuna...! 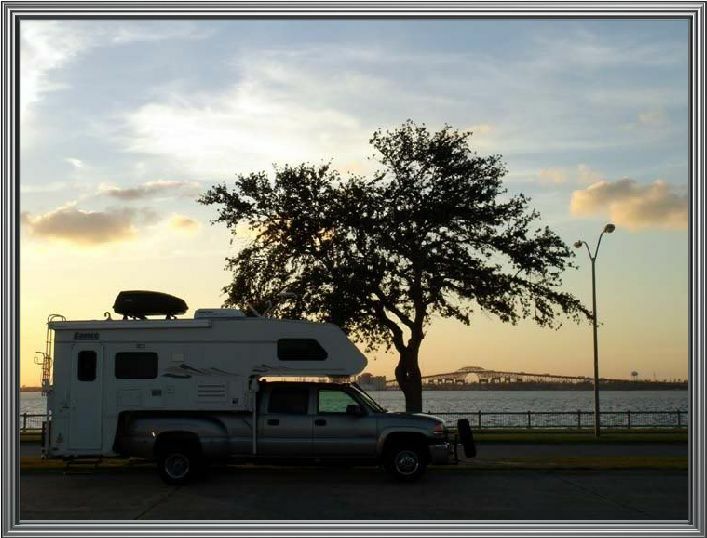 I want to see your FREE boondocking site... not read a book. Where have you actually stayed? If you click on the various states and scroll to the bottom there are free sites listed in many of the states. The best example is Nebraska. Heck, there is a WalMart every where! I don't have a picture, but at the junction of 71 and I-29 in Platte City, MO. A restaurant had gone out of business and was boarded up. Parked in their parking lot and had police security check the place a couple times during the night. there not a lot of room... it's full of alpo house trailers. Another nice spot... look for them along your route. don't make a mess... just pull in and go to bed. We were going east on US 50 in Colorado... we are at Monarch Pass in June of 2006. The elevation was so high that there was very little traffic... we never saw another RV. The places I've stayed are posted at freecampsites.net That way everyone can use them. You won't find this spot on anyones list... you have to find these sweet spots on your own. Which makes this thread pointless? Driving round and round a lake? How big is it? You are in an older trailer not a truck camper... you don't have ant TC experience do you? This isn't about you... it is an attempt to help a newbe past a printed page. Do you have anything to personnaly contribute? Or is it like the other stuff you don't really do? BTW... with the bridge in the background anyone that is there can find the spot. 2004 is not that old now is it? My previous RV was from 1987--that's definitely old. I should have known that anything I said would be twisted into a negative. How about getting into the modern world and posting gps numbers for these "fantasy" sites? That might be more useful than a picture, especially if the sun isn't up. NICE ONE! who swings next? We passed a day, a night, and a day in the parking lot of the USS San Francisco Memorial overlooking the Pacfic Ocean, Seal Rocks and the Golden Gate Bridge. The gate was closed at 8 PM after midnight security came by and carefully avoided shining their flash light on our rig. Like Sleepy, we have stayed in many unlikely spots and have never been disturbed. We do put out our rather small slideout and always deploy the satellite dish. We keep the blinds down, with all our gear neat,clean, and tight, no chairs or stuff out. We always wear clothes and smiles, and never leave a trace. No problems, no noise, no hassles, no sweat! Come on kiddies - be nice, this is suppose to be a fun adventure. In the ferry waiting line for the Cedar Island Ferry though it could be done for any of the ferries along the OBX. Had a wonderful breeze all night and fantastic sunrise. Just need to get there after the last ferry leaves. Congaree NP overflow parking lot. You are requested to get a free permit. If after hours when you arrive, just get the permit in the morning. Nice thing is you can arrive at any time day/night and then walk to the visitor center via a 1/3 mile trail. The typical walmart. This one is in Murphy, NC. But this spot would have been the cream of the crop if it hadn't been noon. This is on FR1511 off the Blue Ridge Parkway below Julian Price. I'm still new to this game of boondocking but am finding it easier and more rewarding each night I spend with the true freedom my TC provides. 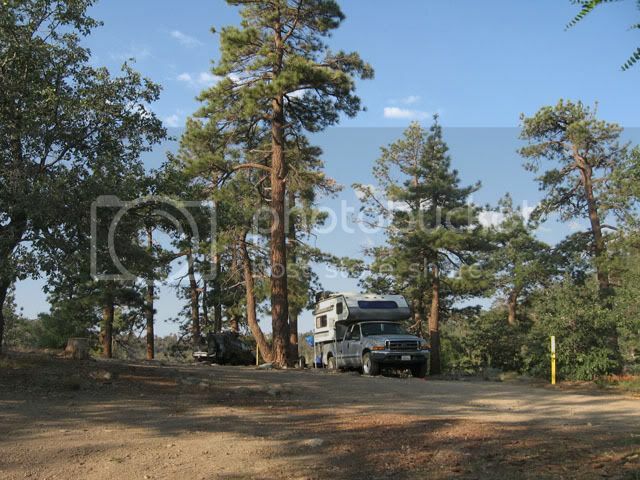 After free boondocking, it's hard to go back to paid campsites. Paying $25. for a campsite feels like I'm being robbed. we feel the same... for us it started as a game... and quickly became a way of life. We seldom write openly about a favorite "spot"... we might want to return someday. We always admit to WalMarts... its well known by many. We never stay there except as a last resort.... last year less than 10 nights out of the 150 nights we were traveling... 7 of those were on our "fast" trip east, coast to coast, along interstates. We usually avoid the interstates too... luv the " US-# " highways. My Brother to the North, LOOK Close it says LAKE CHARLES, LAabove the pic good enuf for me. Next tell me how many folks do you think can enter a LAT LONG on their GPS unit in their trucks? Give it a break! Let us just share the places and experiences! Shake! What did I do before gps? I got lost *lots*! (which was sometimes kinda fun). 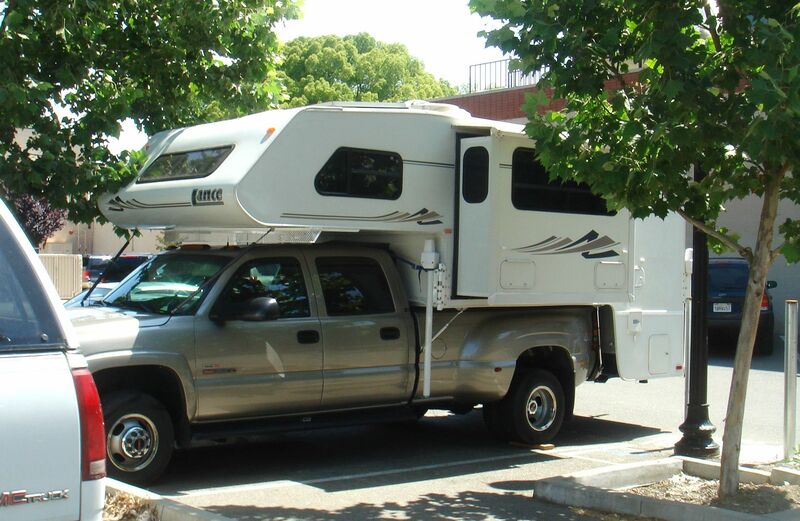 I remember as a child my father turning around until the camper was level. That night snow fell...we were camped in a rest area near the top of Logan pass. The next morning, he tossed a coin--because we had no idea which way to go. He got lucky! To answer your question "Who can enter a gps number in their trucks?" I'd say anyone on rvnet. By a simple "cut and paste", GPS numbers can be entered into google maps--and just as easily extracted from there. Since, by definition, anyone who is at rvnet is "online" that makes finding places a la GPS "duck soup". It also obviates the need for a stand alone gps unit so there are zero extra costs. I agree numbers are not essential--but oh so useful. I really wish I had pictures of all the small town streets, back alleys, and store lots we have stealth camped at. Here are a couple that I do have. Lake Superior. We stealth here annually. Montana I believe. Along our way to Glacier National Park. Do you have anything to personnaly contribute? Or is it like the other stuff you don't really do? Bottom posted because that's the way sleepy likes it, and I always try to help others. and if you so wish more than 100 other sites I've personally boondocked at. Most of them have been posted at two web sites to help others out. None of them are Walmarts. Sleepy is my hero. I wish I could have boondocked at just a tenth of the places he has. After 59 nights in my TC, I can only claim one night in Utah as truly boondocking. So this thread was really not to help others find good places then? That seems quite odd given the opening post. Bummer!! Sleepy, you were in my backyard and I didn't even know it! I was boondocking just a few miles south of you. Wish we could have met and had a few brews while talking about our stealth lifestyle. I'm still working around here so I could have helped you with several good places I use all the time! Next time you're in the area let me know and we'll tip a few! Happy camping, Jim. 2001 Dodge Ram 2500 4x4, 5.9 engine with winch and service body. Getting it ready for a new camper and then hit the trails! I cant comment, my truck is too old. I believe this is a stealth camping thread, not a boondocking thread. Last month when we were stranded in Berlin, Germany, there was an RV parked in the street across from the Hilton Hotel for several nights. It was gone during the day, but would return at night. They even had their jacks down. Somewhat strange looking among all the small smart cars. Realier, with your ash in a bind I'm glad you had a hotel. How many days did you have to wait to get a flight out? Was the ash from the volcanos reaching you in Berlin? We have parked at a few hotels... extreme measures for a nights rest... but haven't had a problem. Some hotels require a pass to be hung from your rear view mirror or placed on the dash. A street very close to the hotel works just as well. 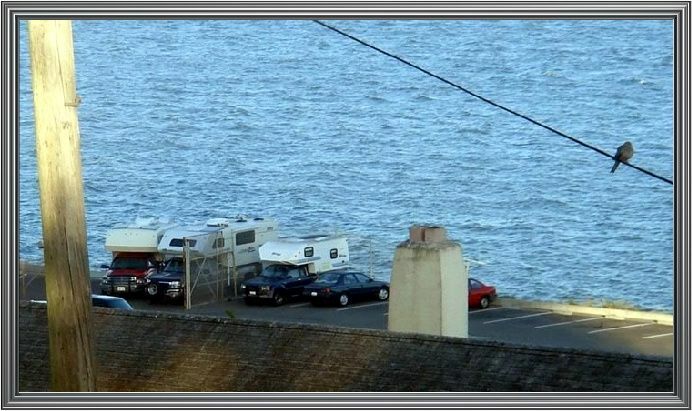 More like stealth parking, I see no camping going on. 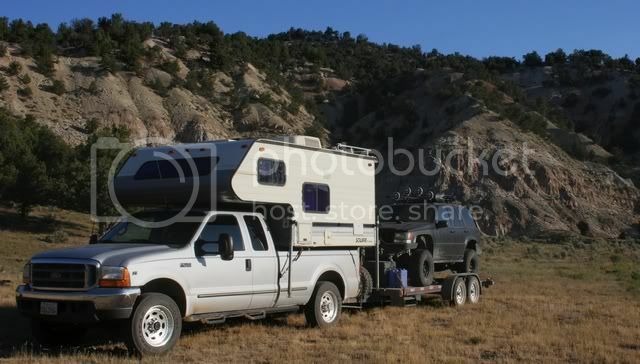 1999 F350 4WD CC SRW V-10, 4.30 Tow Package, HD Camper Package. 2004 Northstar 850SC with 3 jack Stable Lift. 2006 Triton Frontier 17 with 60hp Merc 4 stroke tiller. I don't count WalMart... there you are invited. When I started this thread it was so we could share the types of places that we'd "park" for the night. This is NOT to show an exact spot that may or might not be available the next time you drive by. Just the types of spots that might be used. I've been impressed by a couple of answers... the one about using the parking are at the ferry... you could do the same at a train station. But; Don't try this at the airport... homeland security might get involved. I think it would be helpful if those of you who have been doing this for a while to provide some tips and tricks for what you look for. Any kinds of businesses that are better than others? What kinds of streets, parking lots? Anything that you have learned about what makes a good spot would be appreciated. I think this is a very interesting thread. We just got back from a 4 day trip from Fl. to western N.C. Rode the Great Smokey Mountain Train. The first night we spent in the Wal-Mart in Milledgeville, Ga.
With no shower in the t/c, we needed one and spent the next night in a campground. Last night was in Greenville, SC at a walmart. I , so far, have not felt real secure just stopping at an out of the way place to spend the night. Is this something that is acquired? We are looking into getting a generator and then going to see if I can convince the wife to go off into the Ocala National Forest and spend a few nights. Any advise on this? I envy the people on here that have lots of time to explore and do the "stealth" thing. during our first year of stealth "parking" we spent 3 1/2 months all over Florida... 3165 miles from Tennessee through the state of Fla and back. It was a good lesson... Fla is so crowded that it made it a real challenge... we never stayed in a campgound even once. when we got to Naples I parked in a legal place... but a policeman said that we might impede emergency vehicles from getting past. He directed me to a legal spot 1/2 block off the beach. we went to the beach... returned to the camper and stayed all night... no one seemed to notice us. Now, 848 nights later, none in campgrounds... no one has bothered us yet. The way we started was... we looked at every possible spot... evaluating it... even if we had no intention of staying there. What will we do this year... who knows... but I'd bet on a lot more of the same. We've only parked overnight at a church once... it was a Baptist Church in Barstow, CA on June 22, 2006. We were on the way home... we had been notified that our grandson had died earlier that day. We was an Army PFC... died from something he was born with "aggreated platelet disorder" (not military caused). we had raised him most of his life. It was one of the very few times that we have asked permission. Ok I'll chime in with my opinions, granted they're lame but they're all I've got! I won't get into the boondocking/stealth/parking debate. You're not in a camp ground so after that it's up to you what you call it. After three and a half years of full time in the T/C here are some tips that I have for camping. First I stay out of most industrial areas now. I did it for a while but no matter how hard you try you're typical T/C or RV is going to stand out. If you're willing to get up very very early to try and beat the business owner from seeing and complaining it might work. Another problem is the local police will patrol these areas late at night or early morning looking for burglars so you might well be woke up and questioned. You'll probably be ok but who wants to get woke up. Another problem is some business's need to work long hours to stay in business thus keeping you awake late nights or early mornings. I also avoid government buildings and local official office's since they sometimes have security patrolling the area. Not to mention that some of the gov buildings will have lots of transients hanging around for their morning appointments. Trust me on this. These days I'm having my best luck at major store parking lots. Not malls per se since they typically have full time security and will ask you to leave. I look for large name stores with lots of surrounding small business's or strip malls. Out here they are Targets, Kohls, Mervyn's (now closed which is even better), CVS etc. etc.. They usually quiet down around 10pm when the big stores start closing down. There will be lots of cars and trucks staying late or all night. You'll be less noticed since there are other vehicles around. Look around for signs citing local codes that prohibit overnight parking. Oddly I almost never use Walmarts. I also use hardware or Home Depot/Lowes type (your local flavor) stores a lot these days. Except for the early morning deliveries they are pretty quiet at night. Local food stores are also ok. However many are open late so the early to bed thing probably won't work to well. Stay at the far end of the parking lot if you can. At all of these stores remember to stay out front! As soon as you start trying to camp around back you become suspicious! Bad guys sneak around the back sides of stores and business's to their evil deeds so if you're back there............... Granted you'll probably not be arrested but you'll likely be woke up and questioned. Police that I've talked to or been questioned by quickly realize that I'm not a bad guy and they go their way looking for the real evil doers. I've heard of campers getting tickets but it's never happened to me. Always be nice and polite, police and security are just doing their jobs trying to make the world a bit safer for all of us. I've even had some tell me of better/safer/quieter places to stay! I'll add the usual tips here, don't break out the awning and start the BBQ in the parking lot. Don't dump tanks and fix leaks so you don't make a mess. Don't start working on the rig or doing an oil change, these I've seen done and they will almost instantly get you noticed! Rightfully so. Also if I need anything I'll try and wait until I'm at that store or business to buy it. I know it's kind of lame but it makes me feel like I'm giving a little back for them letting me stay there. I never feel entitled to stay anywhere so I try and be a good neighbor. Ok enough rambling on what has worked for me. As they say you're mileage may vary. Good luck and Happy Camping! Jim. Never done it but seen it lots here,camping at a hospital parking lot. Safe and close if you fall out of your bed. BTW, if you're heading up the short cut of Hwy 2 in Southeast Nebraska, Wal Mart on the SE edge of Linooln has big sigs up against over night stays. Several other big box stores on the same highway, no signs. I like this definition excepting places like USFS or BLM land where although it isn't designated as a camping area, it is perfectly legal and acceptable and nobody will make you leave (unless you stay 14 nights or more.) In other words, where "stealth" is a good idea because your "camping" there might cause issues. We actually stealth camped in the Philly airport long-term area on our way back from buying the camper and truck. I had picked my wife up there after a late late night drive from Connecticutt, and she had flown on a red-eye to Philly. After riding the shuttle to get her at the baggage pickup (we had to bring our TC camping stuff since we both flew to pick it up ) and then rode the shuttle back to the camper. We crashed until late that afternoon. Getting out past the low-overhead exit gate was interesting (and one of the only times we had any height issues.....) But yeah, overall you are probably right - public airport parking is probably a risky proposition for this. I think you all might be missing out on what I've found to be one of the best places to stealth camp... church parking lots. Assuming that it is a church big enough to have a decent sized parking lot. The only caveat being, I would avoid them on a Saturday night unless you plan to get up early enough to be gone before people start to arrive for church on Sunday morning. 2001 Dodge 3500 DRW, 2010 Outfitter Apex 9.5, 99 Jeep TJ dragging behind. I have mentioned this afor. We learned that it is local regs (supporting their local campgrounds) that have Walmart's post the "No Overnight Parking" signs. A store manager told us to park in the rear where the delivery vehicles spend the night. It can be noisy as the trucks often idle and run generators all nite. We have done this several times successfully. I'm sure luck enters into not being rousted, we never have been, but common sense is most needed. All of the guidelines we use have been discussed here. We usually stay in sparcely populated country or suburban locations away from city centers. I believe it to be suicidal to park overnite in, for example, Baltimore, or other similarly depressed locations. What about a casino? I've seen campers in the lot. Open all night. If you're quiet, they'd not know if you were inside or out. I've not tried it, but have thought about it. Casinos are great... I never ask... just stay. In the following picture Iwe broke our own rule... but since we made it, we can break it. 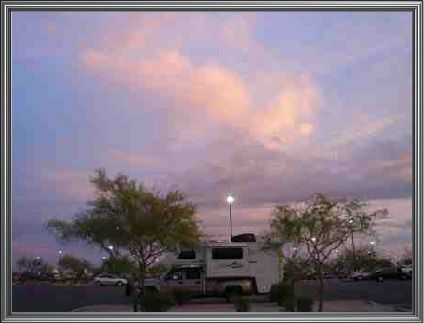 We are 11 miles south of Sky harbor Airport in Chandler, AZ. 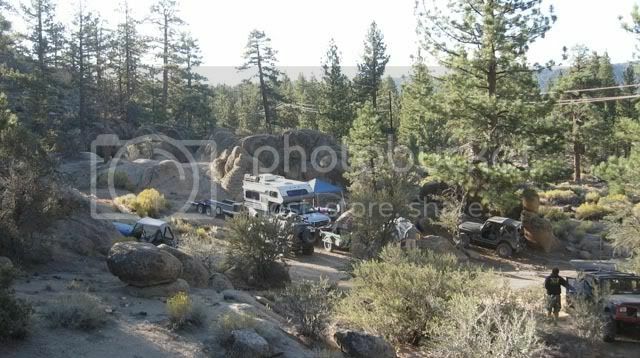 When we got there we found more than 40 RV's... and many had left. Some had been there for 4 months. We were the last camper there... the temperature hit 100°F. We were waiting to get into the Grand Canyon. We could see the airplanes landing at Sky harbor... security brought us cold bottled water. It was 2006. We liked this place. That you like to play games. 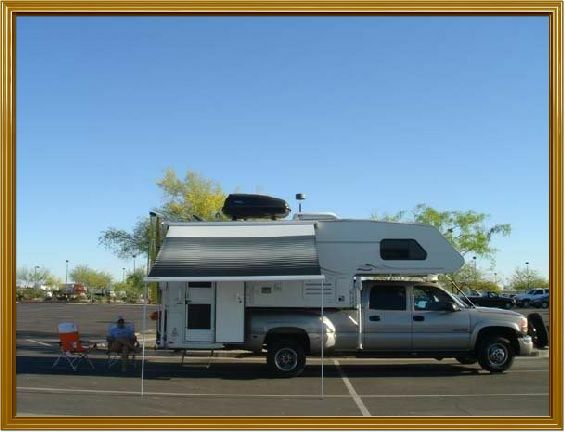 Some casinos have campgrounds... this one in AZ didn't in 2006... I think they do now. stealth parking may not be a possibility. This is the opposite side of the picture above. No crowds, no irritating neighbors, no costs.... and "Rawhide" the wild west town is just a short walk away. You are talking to the water jug in the chair next to about shooting craps. Your pockets are empty as you lost all of your money in the casino. There are large 18 wheelers parked in the background. There is a huge black bug on top of your TC. It’s obvious you are not stealth camping. It’s about 6:30 PM in the middle of May. You are not running the air-condition. Palo Verdi trees in the parking lot. You are taking up 4 parking spots. You have the canopy out. I think it was a few days before Easter. We had an early dinner at Waldo's BBQ on main street in Mesa... Wow! We've stayed at the more commonly accepted places like Wal Mart & Flying J, etc. However, sometimes I'd rather just drop a few bucks and stay in a State, U.S. Forest or even private campground if for no other reason than the surroundings. But it is good to hear some of the "ideas" like churches & the like. One universal key, is to not be a PIA to those who either know or don't know you're there. Although I can understand a quick sleep stop while en-route on a long trip, I just don't see the appeal of some of these parking lots. I'm sure the real nice more scenic spots are not getting posted for obvious reasons. To each there own. I would be careful, someone may have taken an outside shower in the very spot your parked. What many people don't understand is the difference between 30 days a year and 180 days per year. we aren't on vacation needing a rest. when we need a vacation... we go to Hawaii. We do the 30 days or more in the wilds every year just like a lot of people do. All of our national parks. Wild and scenic Rivers, National monuments, BLM lands, NF's...etc are fair game. 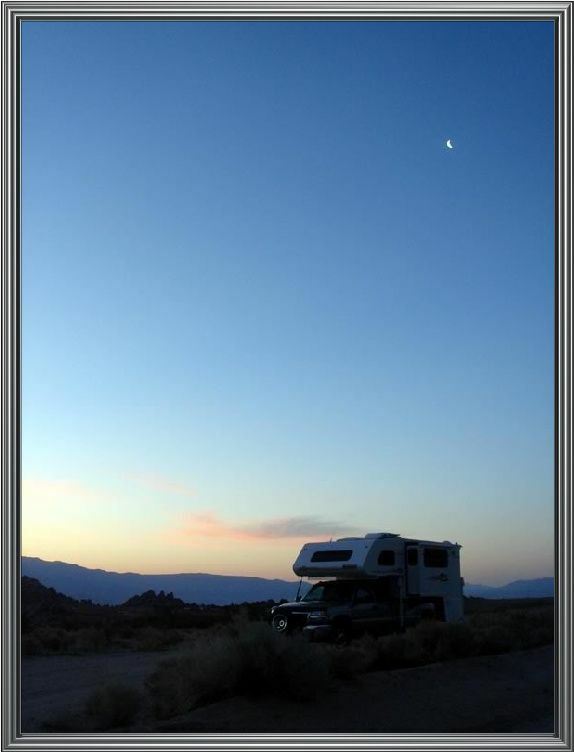 We never camp anywhere... and as far as I am concerned parking an RV in a trailer park or RV park or even along a dirt road in the boonies isn't camping either. When the beer or wine is in the fridge, the game is on the tv, the shower is hot, the microwave is cooking.... the sheets are clean... and so are we.... what differece is it where I'm parked. when we shut the drapes... we are home. I haven't felt like I was camping since my tent days... out of the boat, or with my backpack. Washing up in the river. The experience isn't in the parking spot... it's the things that you are doing and enjoying. I've got too many places to go and see to stay in a nasty trailer park. My idea for this thread was to give examples of places to park for a day or few! Save some money and be safe. Sleepy, I do understand your point, I guess we all have differing idea's on travel etc. 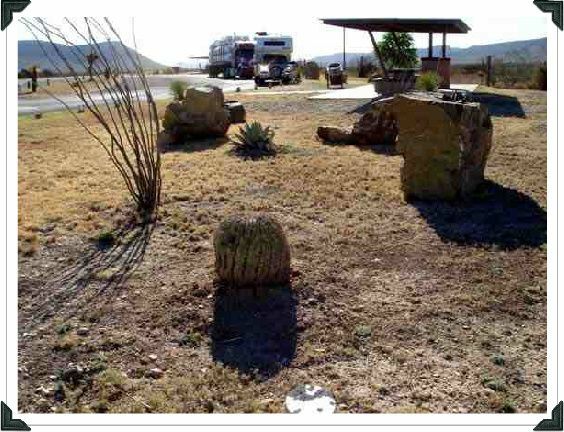 You are correct that rving is not camping even if in the wilds. I just don't enjoy staying in parking lots. Rather be at home, but then that is what makes the world turn. Have fun.....I know you do. It simply amazes me how people deviate from the spirit of the point that the OP was making in the first place!! All he did was point out that he found a great place to stealth camp/sleep for a couple of days! And, I assume. to give others the same idea for short stays near desireable attractions. Right now the DH and/or I are on the road with the TC only a few weeks and weekends a year. We are usually traveling late or heading to a specific scenic place so stealth camping is not much of an option for us ... yet. After we retire it will be a different story. I imagine then there will be times we would want to use a park or commercial campground, times we would want to dry camp on public lands, and times we would want to stay free elsewhere. So keep on with the ideas! We resorted to renting a room at a Holiday Inn on our last trip but there was a burned out restaurant next door that I was eyeing. Wondered if that might be a good possibility for stealth camping? But the DH was set on getting a room and the thought of a snore-free night won me over. 11 miles south of Sky harbor Airport in Chandler, AZ. Nope... White Horse Pass Casino... on the Gila Indian Reservation. After a yr & a half of fulltiming in a 5th wheel, I'm coming off the road and getting a T/C for part time. I'm planning a round trip coast to coast in Sept. for 2-3 months, and I don't want to have to pay C/G prices. With a T/C I will be able to access BLM & Forest Svc campgrounds for free or low cost camping, but I want to honestly ask how secure that is. I'm a woman alone, approaching (but not yet) elderly, with an 85# dog who is protective but not aggressive. When you are parked in an out of the way campspot, what are the chances of being approached by someone. I'm not a fearful person, but I don't want to get into a problem situation either. If I should be asking this on another forum topic, please don't flame me, just tell me. Thanks. Thanks 2oldman. I just did. We are out in the boonies near Mt Whitney... the Alabama Hills. The sun in the background is coming up in the direction of Death Valley. We were sleeping between the highest and the lowest... and they aren't that far apart. No other people were in the area... all the way up to Mt Whitney. I stayed New Years Eve in a casino parking lot in Henderson, NV. A few other RVs were there. I spent over 2 weeks in a hospital parking lot in Omaha, even had security looking out for me. Camped in dispersed camp site in Medicine Bow National Forest near Laramie, WY. I attended a church assembly at a church college & while everyone else had to stay in a motel or dorms, I just parked in the lot for 3 nights & I was not bothered by anyone. I don't consider this stealth parking but there are many small towns in Kansas & Nebraska that allow you to stay the night in their city parks, some even provide electricity & it is all free. Some have a donation box. Kansas has State Lakes where the camping is generally free, but no hookups. After reading this thread, I am thinking about just looking at all the possible spots to park around here where I live, just to practice finding them so the next time we are out we may get brave enough to try something different. Thanks for the thread Sleepy. Big Rig... thats the idea. Everytime we pass a cemetary with a flat spot i point it out... my wife says "NO!"... other than that she finds our "parking spots" fun. When we were learning where to "hide" in plain sight in 2004 we stopped in Port St. Joe, Florida. We stopped at the back of the city parkwith our slide hanging over the water of the gulf. I was walking around trying to decide if we could get away with it. An old man pulled up in an older station wagon and motioned for me to come to his open window. I just stood... he smiled and again waved me over. you can guess what i thought. I figgured I could out run him so i walked over. The first thing he said was, "You can stay there all night." I thought I'd ask a question, "Are you on a welcoming committee or something?" He said... "No, I'm the Chief of Police." He went on to tell me that he'd retired a chief of police in Fort Myers and moved to Port St Joe... after awhile he was approached by the city council... and here he was. We have been back... during that trip we boondocked every night for 4 months, all over florida.... thanks chief! Typically we stealth camp as our trips tend to be 1200+ miles at a time. Our first real stealth overnight was in Winnett Montana. It was very late & we'd driven all the way from Poplar Wisconsin in one day, 837 miles. Other than fuel we had a short stop in Stanley ND. The only thing open that late in Winnett was the bar so I went in and asked if there was a campground & all we needed was gravity. The gal behind the bar said no campground but that we could park in the street anywhere " 'cause folks do it all the time & we're glad to have the company." She suggested that we drive two blocks west to the community pool & we'd have a place to shower too. We parked right outside the pool on the street. My wife was worried but by morning no one even gave us a second notice. More on Stanley North Dakota. It's along US-2 'bout halfway between Minot & Williston. The community park is on the north end of town about a mile from the highway. They offer free camping & hot shower. We make a point of stopping there each trip west. We leave a thank you note & $10 for the use of the park. Most small towns in the great plains are so quiet you'll go unnoticed even in you parked at the court house. Most highway rest areas are good to go as well. As far as Michigan goes, you can camp anywhere on state owned land for free. A permit is recommended but absolutely required. Permits are available at any DNR field office. Usually a DNR officer, IF you see one, will give you a permit on the spot. 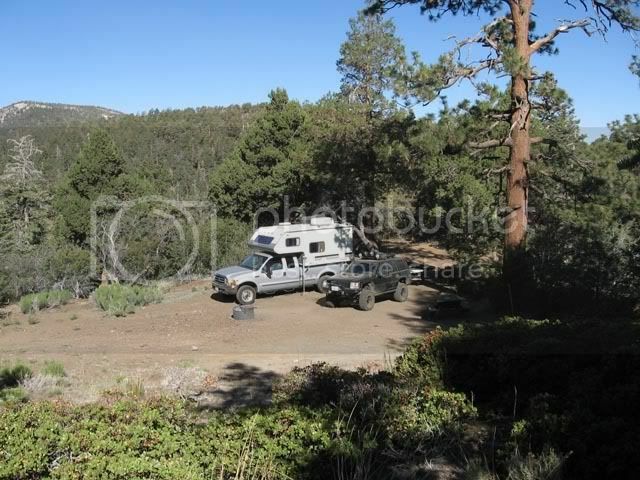 I actually don't use the word stealth,,, we call it all boondocking. This beat the place we'd spotted along US 395. You previously mentioned evaluating a location. You kinda sorta mentioned one in the post where you said "I was walking around trying to decide if we could get away with it." May help just to list a few of the things you take into consideration for this evaluation. I know I'd probably never think of some of these because I lack the experience to know to think about any particular item. But, just for example purposes here, would you use say some of these main points? : level, traffic volume, area lighting (both plus for security, and lack thereof for sleeping purposes), any posted signs nearby which post regulations contrary to your plan, flood potential (summer thunderstorm season is upon us). I'm gonna stop because it is clear that I am just guessing at the evaluation points. But, perhaps sharing your baseline points would be beneficial to many. So many times one learns something new, which in retrospect, was really quite simple, but had just never been thought about before. we looked everywhere even if we weren't planning on staying... practice the "eye"
like sleeping directly on the continental divide. Sometimes we get all of the plus'es at once. mostly it's just experience... we no longer think about it... we just do it! We just drive up and park! I like to drive well into the night so if inside a city I use residential housing tracts. They are very quite and have good roads and are usually level. I have found that there are those homes that their side yard is fenced and runs along the street and this is where I park as it is not in the front of their house. Since I arrive later they usually never know I am there and I tend to leave before 9AM so it is in and out without a clue from the neighbors. I have used rest stops but these are very noisy and there is a lot of in and out traffic all night. Truck stops are the same. I use these as a last resort. I find an out of the way road will lead one to a quieter spot so I look for these. One thing we all can agree on is that we need to be very respectful of the folks who live in these communities and try to foster good relations where we can. If the site you were at is a bit messy in day light why not spend a few minutes picking it up a bit. If some see this happening you will be an asset instead of a free loader. Just a thought. There is some good ideas here and as has been said we just need to be comfortable with the site and look for signs that prohibit over night camping. Having a neat rig will go a long way to allowing us a peaceful unmolested night. Cops tend to roust the riff raff. 2005 Ford F-350 CC Dually 6.0L Diesel 4x4 King Ranch loaded, Supersprings, Coolant filter, Oilguard bypass filter. Many years ago we would "Anchor Out" with our Ketch,"Imagine" in coves along the Intercoastal Waterway in Florida. The local marine patrol would appear, saying some one in the Condo saw us throwing trash overboard, and that there was a no anchoring policy. Both of these claims were false. The waterway was Federal jurisdiction we were a federally documented commerical vessel and could anchor anywhere as long as we did not obstruct traffic. We always moved, it was by far the easiest course, avoid making waves. It is much easier to anchor out in our TC, just stay under the radar. The guy in the Condo was PO'd because we was taxed for his view. The same pinciple applies here. We love to use the National Parks, believing that our money supports one of our greatest National assets. But as we travel long passages to achieve our goal, it is quicker, cheaper and frankly more fun to seek out a quiet spot to pass a night with no fuss. In the seven years we have been crossing and recrossing our USA in our TC,we have never been challenged or chased. To the contrary, we have been greeted and helped and encouraged by folks we have come across. We are not catholic boondockers, we sometimes pay. On a drive south on California's coastal Route#1 we spent a few days at a high dollar RV Resort called Costanoa. They had a great restaurant, lush facilities, we splurged. The rest of the trip along the magnificient coastal road we merely stopped in the pull offs, put the slide out over the sheer cliff above the Pacfic, no fee, no extra charge for lousy sunsets. Frank, is this extreme stealth camping? Ten cents/pound deliverd to the crusher. Ask him for a gps number. Can't find Ceretus Ave on the map. 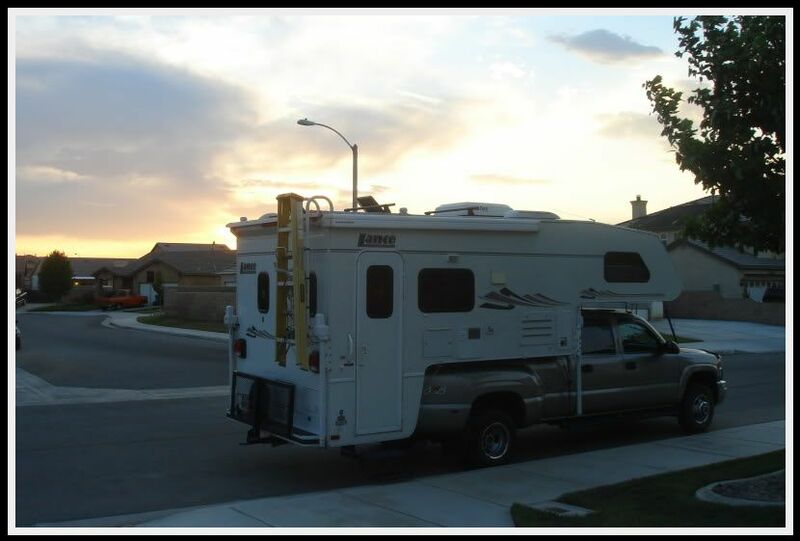 AllenF pointed out the importance of keeping your truck and camper clean and neat. Keep yourself clean and neat too! I've been trying to get accross what you should look for... Allen is pointing out what others are judging us by... and making their decisions on weather we are OK to be in their neighborhood. A question for you veteran sealth campers . How do you deal with refilling water and dumping waste ? Practice, practice, practice... look for every opportunity. Some things you have to learn for yourself. Only you wil be in the place you are going... and they are all different. Worst case: For safe water I make sure that we are smiling, clean, and the TC is clean. Then ask if you can fill your tank... even at a convienece store. washing dishes with the water running, and long hot showers will empty your water and fill your holding tanks... take 3 quart showers. There are plenty of dump stations... this thread isn't the place to try to identify them... google "dump stations" and the area that you need one. I have never dumped anywhere except at a dump station... I sometimes pay. I'm pretty sure that the earth just stopped spinning and the end is near. I just saw a picture of Sleepy with his awning out. Next thing you know he'll be saying an awning is a requirement for a TC! It's funny, the whole topic about camping vs. Rv'ing vs. boondocking etc. I've certainly had plenty of conversations about it (eh, d3500ram/Frank?) I don't really have a good clear definition either, but it's all good, from parking at WallMart to backpacking for days in the Rockies. I guess I tend to think of it in the broadest sense as Webster's does when saying it's anywhere that is not your permanant residence as in "we set up camp at a motel room" or for that matter "Camp David" but generally back it down to at least where you bring your own "residence" with you...as in in a backpack or on the back of your truck. But here's a few shots of our last two weekends of CAMPING that happened to be off the grid in USFS this weekend and BLM last weekend. This spot perhaps could have been used for 'stealth' had we wanted to....it was a small pull-off on a very deserted road in the Wet Mountain Valley. But it was a little too close to the road and might draw attraction of passerby (or drunk cowboys?) On a side note, we as we approached a tiny tiny town we saw tons of lights on and wondered what it was....it was Friday night and we thought maybe a high school baseball game? It turned out to be a small local rodeo. We were seriously tempted to stop in and watch it, and then perhaps even be able to stay on the grounds as there might be cowboys staying over - drunk cowboys not withstanding.) But we aren't retired and wanted to make sure to get to near our chosen area for riding the dirt bikes in the morning....so we pushed on. 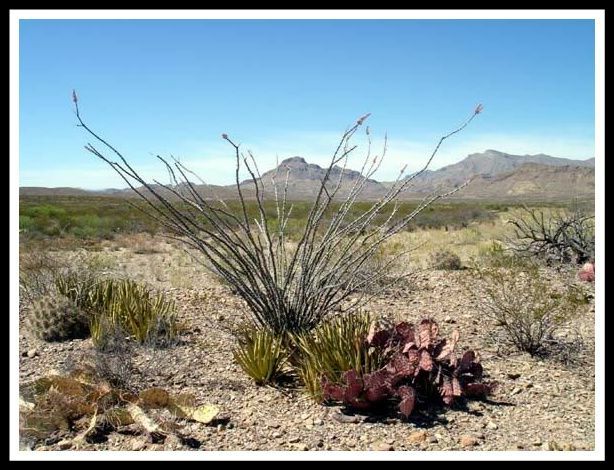 This picture was taken in the Big Bend National Park near the Mexican border in Texas. We parked our camper 5 feet from the Rio Grande and stayed all night in the desert along the road to Presido just outside the park. We saw the border patrol a couple of times but they never stopped. the Rio Grande wasn't more than 5 feet wide at this point. Great pictures! I want to go camping! Sometimes you might find the need to boondock at a National Park. We watched the sunset from the south rim of the Grand canyon... and then backed well into the woods. The next morning i spotted the bones of a large animal that had deep gouges from a large preditors teeth. The picture was taken at 6AM. TCNTN phoned me recently from the south rim... wanting directions to this opportunity... I don't know if he stayed there or not. Let me add a few comments regarding finding good sites out in the public lands. Obviously this is much easier out west where there are huge amounts of public lands, generally administered by the USFS or BLM. The most important thing, as has been said here, is practice practice practice. This means looking every time you drive or ride any of the roads in the public lands. Look for sites, and when you see them, perhaps mark your maps. Look at where they are on your maps, and try to guess if you could have predicted good sites would be around without having been there - just by looking at maps. It is often pretty easy to predict if there will be sites along a forest road. Generally, I look for longer roads that go higher and higher into the mountains (or off into desert.) Following a long drainage/creek is a good sign, as people like to camp along creeks. A very tight/steep canyon (based on contours) is less likely to support campsites as there often isn't much flat ground. It's often good if the end of road has some attraction at the end like a trailhead or lake or there is a higher mountain pass up top. Anything to make it a fairly attractive place for people over the years to have been camping in the area for a long time. On the other hand, a nice lake at the end can mean a lot of people go there. Which reminds me, an awful lot of these places to camp are only used on weekends. If you are lucky enough to be able to camp on weekdays, often you can have the place to yourself and the choice of all the sites. A labeled/marked trailhead is a good safety net. 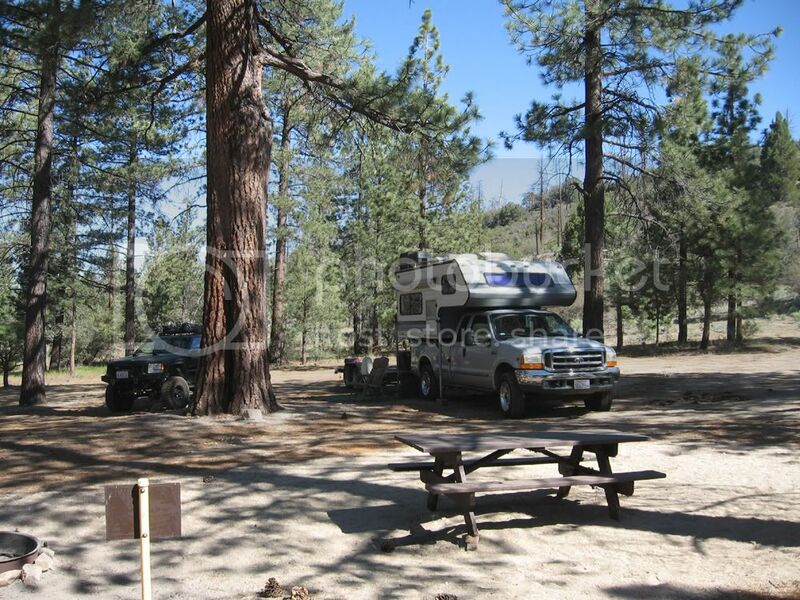 It may not be an ideal place to camp, but they usually do have enough space to park some vehicles, so if you don't find anything on the road on the way up, you can likely "park" at the trailhead and camp there. People may think you are off on the trail. We've sometimes left our camper at places like this when backpacking so that when we get back from a few days on the trail, we arrive and can take a hot shower, have a hot meal and change into dry clothes before heading home. Another thing you can use is google maps/earth to look via satellite at a propesctive area for sites. Sometimes you can see a number of side roads/dead-ends, fields etc. that help give you an idea before you go. Oh yeah, and AllenF IS right - cleaning up someone else's mess helps everyone out, not just the jerks who left it. This weekend we hardly found any trash at all where we camped, though we did stop and pick up an empty case of beer along the road on the way in. We can go a week pretty easily, at least on the black tank. Grey water can get dumped on camp fires to put them out....but we'd be starting to run low by a week's time. If I am actually going to be out that long, I'll bring several extra 5 gallon jugs on the trailer. The truck behind me was the only thing that pulled in all night. And he left shortly. We were tired... we'd just spent seveal days in Big Bend NP. 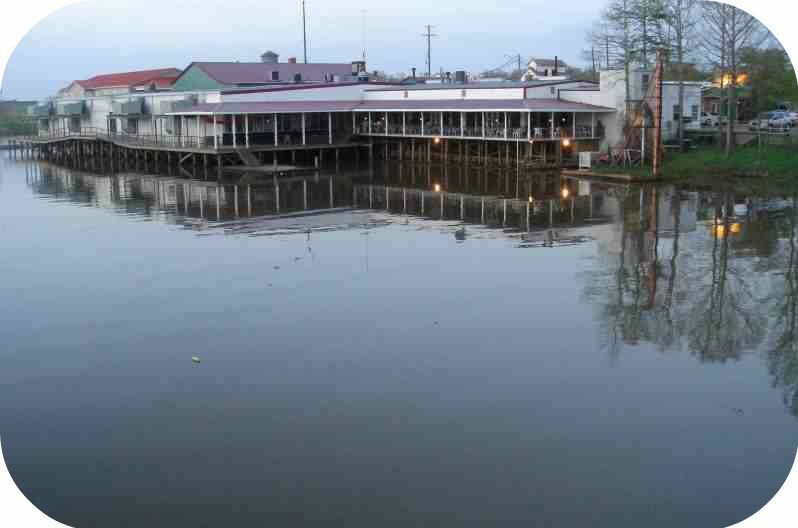 Down on the Bayou: "Pat's Fishermans Wharf"... Henderson, Louisana. 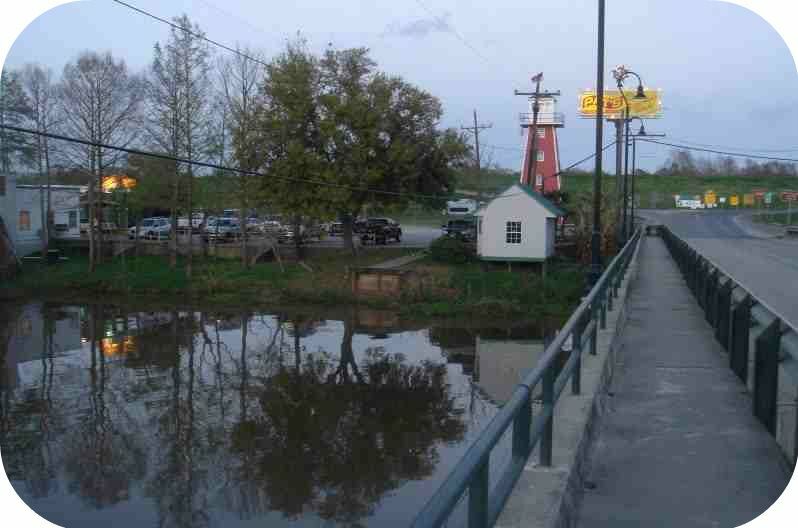 We were criss crossing the swamps and bayous of south Louisana... huntng the good Cajun and Creole foods. We knew about the resturant... Pat's daughter has one in Lake Charles called "Pat's of Henderson"
While we were eating Harvey (son and manager) came to the table.. he'd been out looking at the camper... wanted to know all about it... said he'd run us an extension cord if we'd stay for a visit. You can see where we are parked. We are level. That's a cat house in front of the camper... and the Levee behind it. The resturant was huge... and the club side would hold 1200 people. Never pass up a chance... say yes. We left him a bottle of wine and an invitation to our house as we continued our trip the next day. BTW... I've never seen so many ferrel cats. We never make any reservations at National Parks. We like to stay in the N.P. lodges, cabins, resorts etc. If they are full, we stealth in the parking lots. Done this many times. Sometimes a room will open up in a day or two, until then, we tour some other area and come back. We alway travel with a mixture of first class hotels/resorts, stealth and boon-docking. We stay at the best place in the area. Great hotels/resorts can be as rewarding and fun as a fantastic mountain side boon-docking camp. It's all good! Are you able to take your casette toilet in the 4 star hotel to empty it. Very expensive dump station. Your small tanks remind me that our truck campers aren't nearly as limited in capability as other RV's. I can go for 2 weeks... can you go more than 2 days? my tanks are smaller than many truck campers. 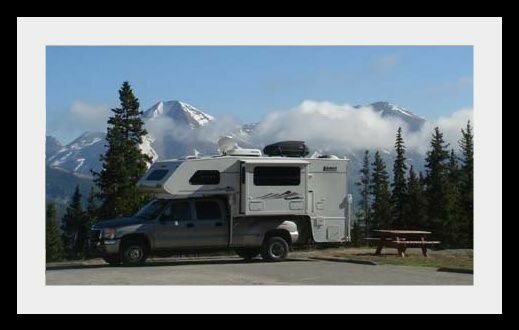 When I need a reminder why I like boondocking, stealth parking, or just being off on our own I look at the next picture. Now doesn't that look like fun... and they are all being charged money to park here. 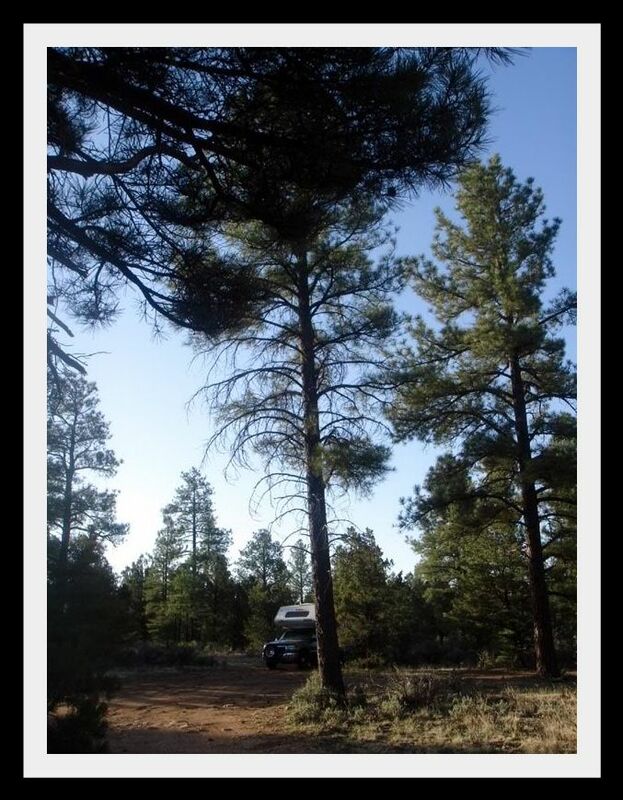 We are parked in the woods in the area of Jacobs Lake, AZ. waiting for "first day" opening of the North Rim of the Grand Canyon. We followed a dirt road through the woods and pulled off here. We ended up staying there while waiting and after our visit to the rim. It was nice, clean, quiet, and we were able to take long leasurly walks, It was 2000 feet higher than the south rim... and colder. This one was funny, at the junction of the highways in Jacobs Lake there is a fenced trailer park... no utilties (frozen?? )but people were paying. Since the ladder is on the driver side of that camper, what have you got that ladder tied to? Oops... my camper ladder folds up in the middle... you can see the 2 black ladder mounts just above the bumper on the passenger side. The yellow ladder is on a carrier that I built that hangs on the camper ladder. I use the yellow ladder to clean my windows...and to wax the camper. Camper cleanliness is next to success when boondocking and stealth parking. I bought the ladder in Ruiodosa, NM a few years ago when our windows got to dirty too take pictures through. You're right small TC have a backroad advantage over our Rig. But the places we can go isn't much different that large TCs. I've own mostly Class C and TC Rigs over the past 30 years, crossing the country many times. Our new Rig is the culmination of knowledge and experience for what works best, for us and the type of 'touring' we enjoy. Have also done a lot of dirt bike vacations from Mexico to Alaska and other Continents when need an adventure Fix. Even I know this wont work and I don't even ride them! Frank - you just have to keep the front end up! McZippie - looks like you've had a lot of fun on bikes - good work. The last tube change I've done, was after quiet hours at the Lake McDonald campground (in Glacier) by flashlight,with street bike rider in a tent the next site over. After paddling a 3,000# boat back to shore with one broken paddle when the boat ran out of gas at dusk earlier in the evening, but that's another story. The tube they sold me in Kalispell was the wrong size, but it held out for our ride over the Going-to-the-Sun.....so I guess it was worth it. Most people will use the street and town or zip code if they (me) can spell the names correctly. My Delorme Street atlas will name everything on the street with phone numbers. It really works well. The thread wasn't meant to be ground zero specific... just ideas of what you might look for. 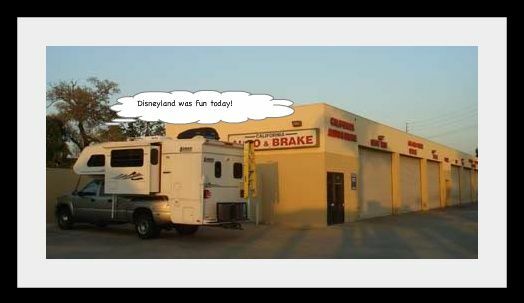 Since you have the name of the business in the picture that you are interested in... go inside and ask.. they'll probably have a run of RV's now. I hope that you enjoy your trip. I thought it might be fun to find "Ceretus Ave" on Google maps and look around at street view. As for a trip there, I wouldn't be caught dead. Could you share why? Is it Disney or LA that bothers you? The only town that we have been uncomfortable in in the USA was Everett, Washington. We stopped at Albertsons for provisions in the early afternoon on our way to British Columbia.... we started into the store when "gang bangers" or whatever pulled in in a half dozen cars... we walked back to the truck and drove on. Sometimes you gotta do what you gotta do! The steps are the give away. The vents are automatic... up and down... even when we aren't there. Clean rig is essential. We didn't put the slide out... in an 1161 you can take showers and have all other fuctions of the camper with the slide in. After using the camper this last time, I was on my way to the storage place when I remembered I hadn't dumped the cassette toilet. It's so nice to be able to just discretely dump it........Beats having to walk thru the lobby of the Cornhusker Hotel and have the doorman tell me I have a strange shaped suitcase. Pray tell...How and where do you discretely dump? We were visiting the California State Capital in 2007. We pulled into this parking lot. The sign said $8 for 24 hours. I totally understood it. I paid my $8 and wanted to get my moneys worth. We barely fit. It was a very nice spot... walking distance to all things good. Our slide was in a protected area, easy to level, very quiet all night. 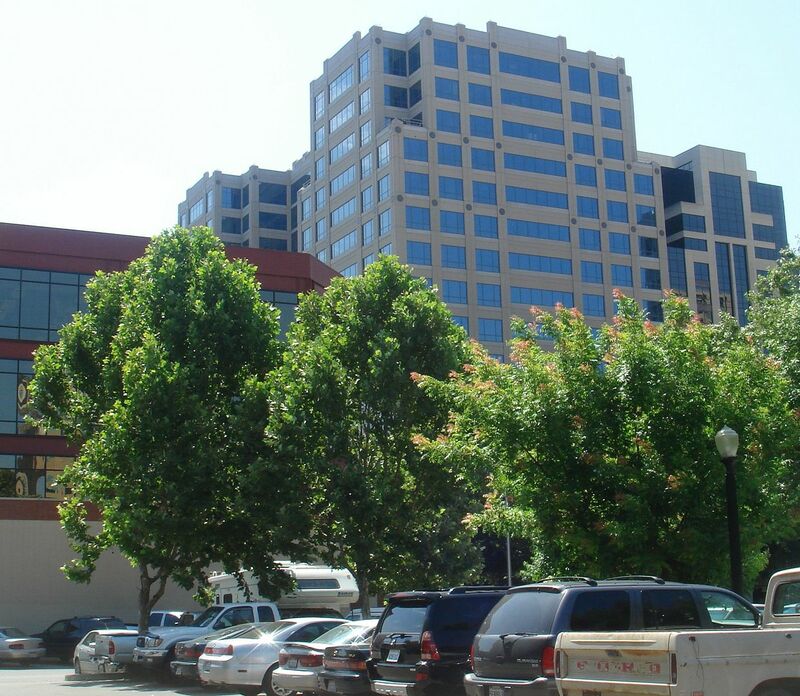 We have stayed there on three trips to Sacramento. There are fine resturants, the Lion King was running a block away, the capital grounds are very nice, and the capital itself is awsome... we even got to see the Gov outside his office. The Old City is just a short walk and the wells fargo lobby/museum shouldn't be missed. We have stayed close to 20 days in Sacramento... but we may not ever make it back. BTW... it gets hot there, 108°F there when we left at the end of June last year... we found that Sonoma was nice... we hid out there while waiting to go to Hawaii on the 1st of July. This is the view from one of the most unusual spots that we've ever boondocked in. 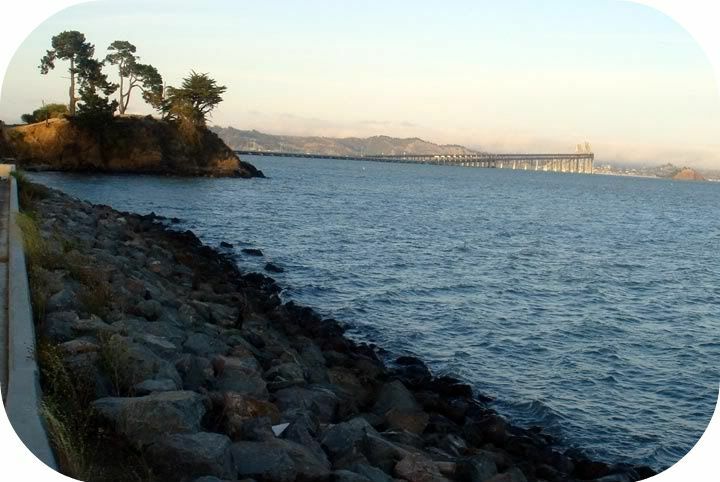 It was a very secure gated community with armed guards and a beautiful view of San Fransisco Bay. Real estate developers lust for the land in this area. It had a wild feel. Here we are following our host inside the secured area. A birds eye view? Maybe even a jail birds view if he was lucky. Our host stayed there 4 nights a week for years. We moved to a more remote area within the community. Where we were parked was slated to be resurfaced. The sharpshooters could see us from up there. a lot of people pay a very high price to go through those doors where it looks like a castle, some stay the rest of their lives. 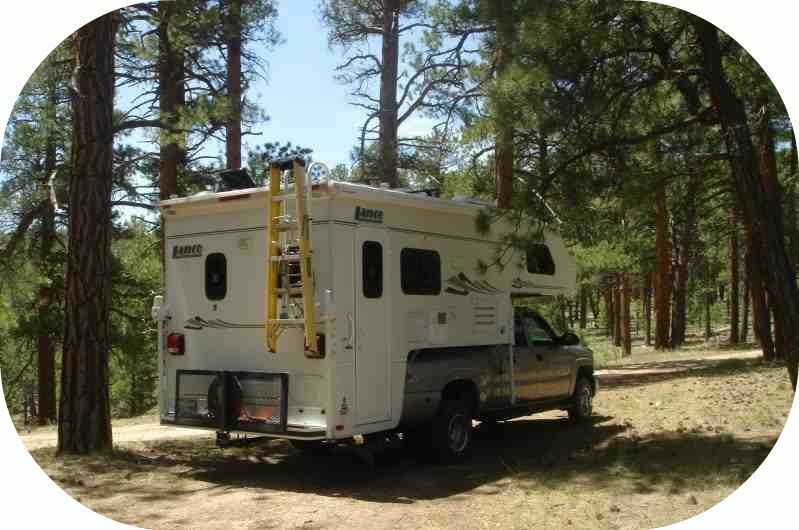 Wayne shared the adventure above in extreme "boondocking" the likes of which may never be done again. 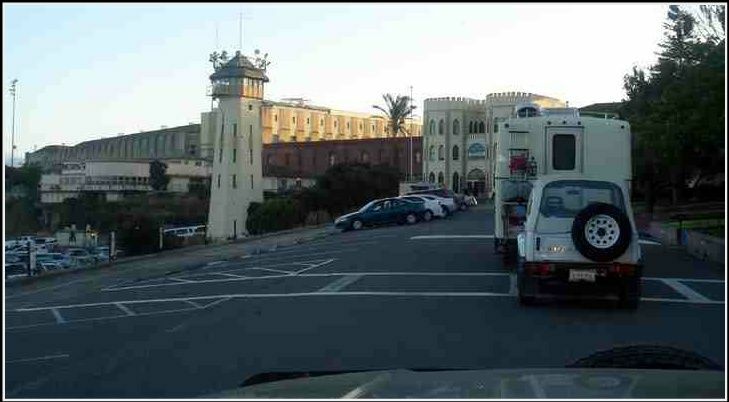 Four nights inside San Quentin Prison.... with a personal walking tour of the cell blocks, cafateria, the school, and a across the huge "yard" which was wall to wall with prisoners. We escaped for 3 days of touring san fransisco and the beaches and hill around the city. Thank you Wayne for a wonderful time, we can never repay you for all that you've done.